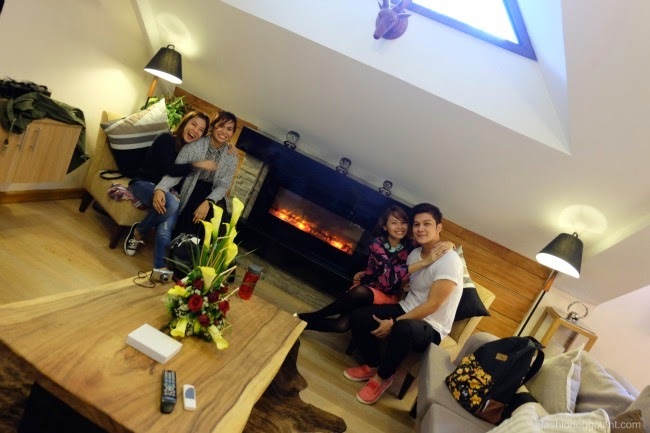 During my stay in Azalea Hotel and Residences, Baguio a few weekends ago, I was given the chance to tour their Presidential Suite. 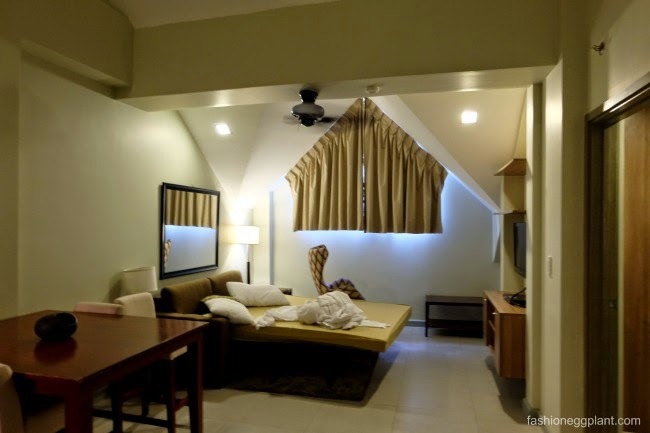 As promised in my last post (Review of Azalea Hotel and Residences Baguio), here's an exclusive peek! 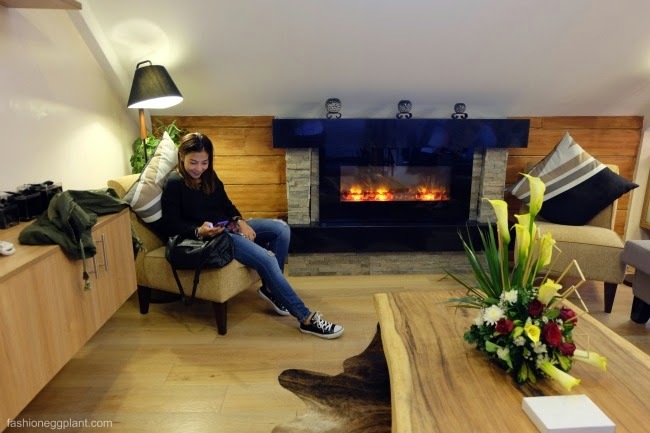 It feels like a traditional yet modern Baguio home. Once inside, it's easy to forget that you're at the 4th floor of a hotel. The 2nd floor is where the bedrooms are at, 3 comfortable rooms that are large enough to fit an X amount of extra beds. It's up to you to get crafty depending on how many you plan to squeeze inside. Just like in our suite, these bedrooms have their own bathrooms, tv, cabinets, wifi, etc. The atmosphere once you step inside is super relaxing. The cozy, unpretentious interiors really got to me. I love how inviting, pleasant and friendly the whole place feels. I could really imagine myself living in it. (ha-ha, seriously though, that's how much I liked it). Baguio inspires me so much and this place really has a way of adding to the charm. If you're traveling by yourself, or in a small group, try to request for a bedroom at the top floor. I was able to sneak a peak into one of the deluxe rooms while housekeeping was inside and I noticed that the ceilings were different from ours! Higher and vaulted, feels much more like you're in a ski resort ;). Coming up next, City Tours + New and fun things to do while in Baguio!